I won the UK fitness presenter of the year and since then I have focused on helping others as much as possible reach their true potential, whether that be helping people with body transformation or training people to become Pilates, Aerobics or Personal Trainers. I am so fortunate to be able to travel the world doing my job and I get to experience fitness from all over the globe and bring it back to the UK to enable to keep progressing my own career. I work part time at Cambridge Regional College teaching BTEC National Diploma in Sport Studies & also delivering CYQ Gym Instructor and Personal Trainer Diploma. As well as this, I am the Business development manager for Fitness Pilates and head tutor for Choreography To Go. I spend most of my weekends delivering workshops and courses for instructor development and training through C2GO up and down the country. 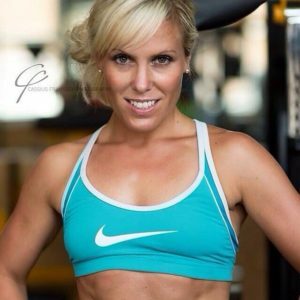 I also run a community fitness business, delivering classes locally in Burwell in Cambridgeshire and running an online and live Body Transformation programme through Kick Start Fat Loss Cambridge in which we have helped hundreds of people change their lifestyle, eating habits and body shapes for good!! Classes range from INSANITY to Fitness Pilates, Boot Camp to Clubbercise & Zumba! You will only find me teaching in one health club these days and that is Nuffield Health in Cambridge. I’m there in Thursday evenings and Friday mornings which still keeps me in the loop with health chain fitness! On this website you will also find my online packages & courses which I see to instructors and the public as well as fitness & choreography DVD’s & downloads. So as you can see, it’s never a dull moment in the world of Kelly Reed Fitness but hopefully there is something for everyone! !